Like it or not, when it comes to moving big families and all their stuff, the minivan is still the most efficient mode of transportation. 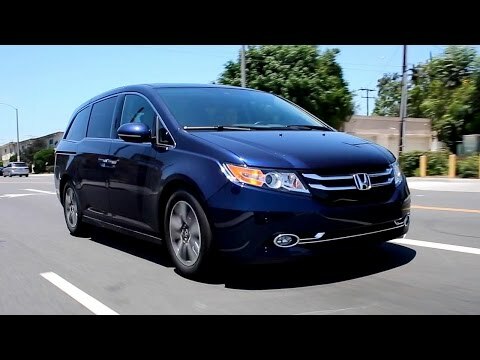 Thankfully, the 2016 Honda Odyssey is quite easy to live with, offering a roomy interior, numerous clever features and class-leading fuel economy. Great decision, never doubt it. My vehicle is comfortable and smooth to drive or ride in, and that is step and go city or long trips. I have a family of five and there's always plenty of room for us and any companions we bring along. There are more than enough cup holders, lights, air vents and climate options. The seating options are Versatile. We love the fact that you can stow the third row or use it as reverse seating. We like the Bluetooth settings for hassle free, hands free media usage. Like the cool box especially on long trips. Like the backup and turning mirrors, also amazing turning radius. We like the hands free entry, push button starter, and of course the gas mileage. This is our second odyssey and we will not probably ever go to something else. Perfect vehicle for a large or growing family. The odyssey is perfect for our family of 5. The automatic doors make loading and unloading 3 children under 5 so easy. There is plenty of space for 3 car seats and all of the baggage we need for our family. The cargo space is wonderful and easily fits our bulky double stroller. Our van drives smooth and runs perfectly. We have. Ever had any trouble with it at all. There are extra little features such as a “cool box” that keeps drinks cool, shades on the kids windows, etc. that make driving this vehicle so convenient. The double touch screens give me access to all the latest technology. And the back up and side cameras are a must! We love our van! Best vehicle we've ever owned. The most comfortable vehicle we've owned. It lives up to its reputation of the �ultimate road trip vehicle�. We have fit our entire family (eight people) into this van comfortably with the additional center, middle row seat. Everything is super easy to use, including the rear vacuum. I do wish that the screen would sync up with a phone so that you didn't have to learn a new operating system, though the system does not have a huge learning curve. We love the fold down TV for longer trips, and really love the cordless headphone that came with the van. Super easy to use. Overall, an amazing vehicle.